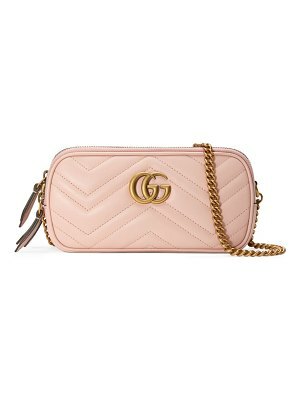 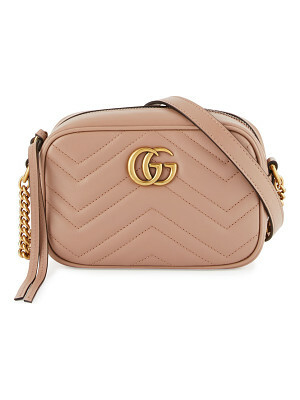 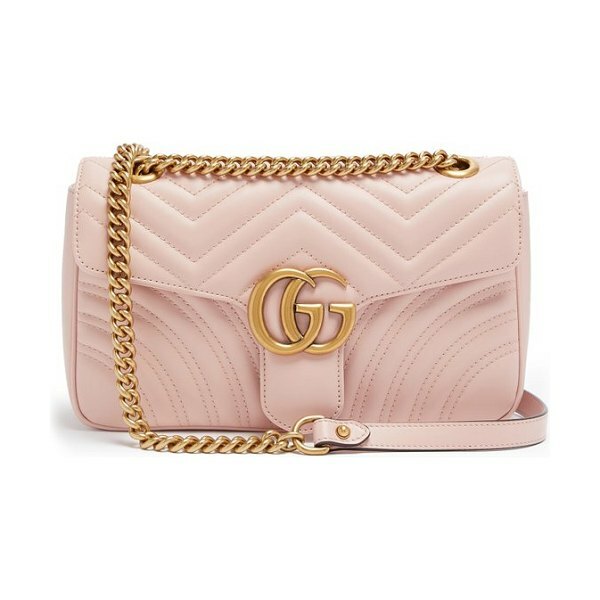 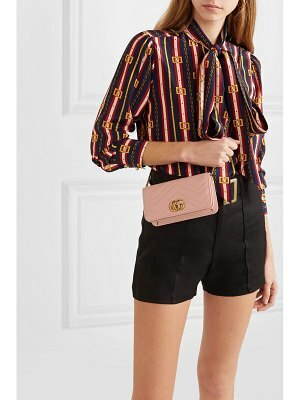 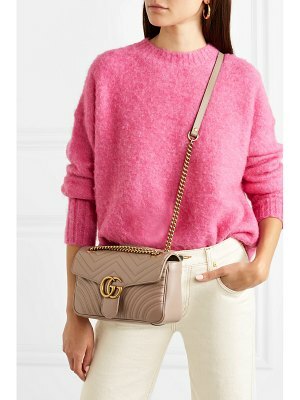 Gucci - Gucci's light pink iteration of the house's classic Marmont bag exudes feminine elegance. 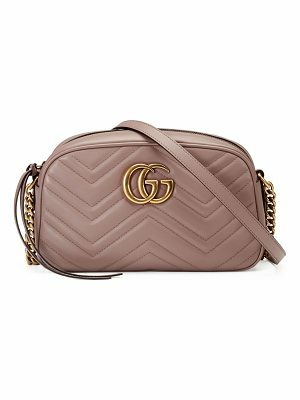 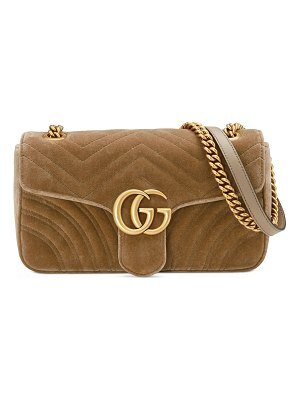 This Italian-crafted piece is cut from chevron-quilted leather with an antiqued gold-tone metal GG plaque on the front flap and subtle heart stitching at the back. 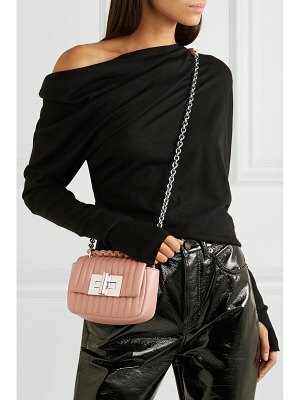 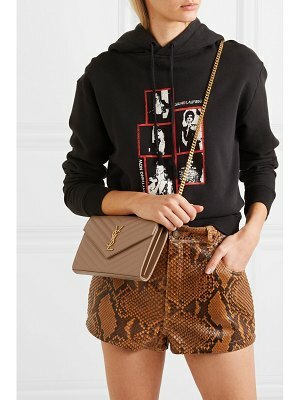 Drape yours over your shoulder with the matching leather-trimmed chain strap, or double it up for a shorter drop that can be carried in your hand.